Glamis Hall is a community centre in Wellingborough which consists of a large sports hall with kitchen and servery, community room, changing rooms and a wellbeing centre. The aim of the charity is to provide a Community Hub for the residents of Wellingborough and surrounding areas. Glamis Hall for All provide many services and clubs such like the 'Lunch Club' which provides a 3 course meal to any residents who would like to come in. They also offer a VIP Club which not only icludes a meal but also provides activities and help with basic needs such as bathing and showering for those unable to do so at home. They also have a hairdresser 5 days a week and a visiting podiatrist. Also provided are sports and activities specifically for youths. Because Glamis Hall for All also provides transport for their services they are always looking at new ways to raise money to keep costs for residents down. If you would like to help raise funds for Glamis Hall for All whilst at the same time reducing the amount of waste consigned to landfill please use the contact us below. If your items are eligible, please call us on 0333 323 7677 or fill in the contact us form below and we will ensure that your items are recycled on behalf of your chosen charity. Once your free collection is arranged we will send you packing and further instruction. 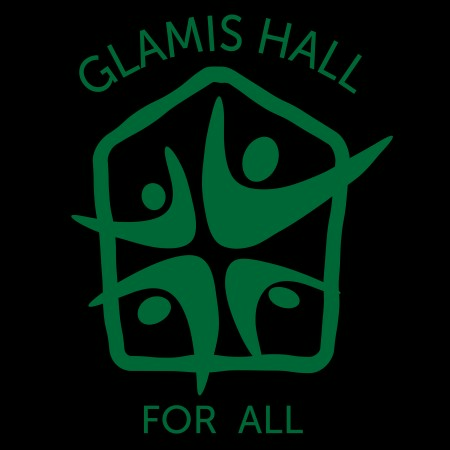 All proceeds go to Glamis Hall for All.